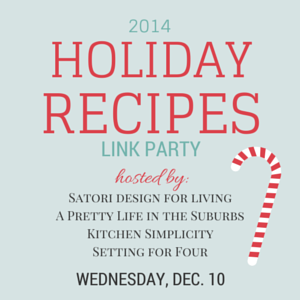 It’s time for this year’s Holiday Recipes link party! I’m excited to have Jo-Anna from A Pretty Life in the Suburbs returning as my co-host. We thought it would be fun to invite two friends to join us this year, so say “hello” to Heather from Setting for Four and Cheri from Kitchen Simplicity. That means link up once and your recipe will show up on all 4 blogs! 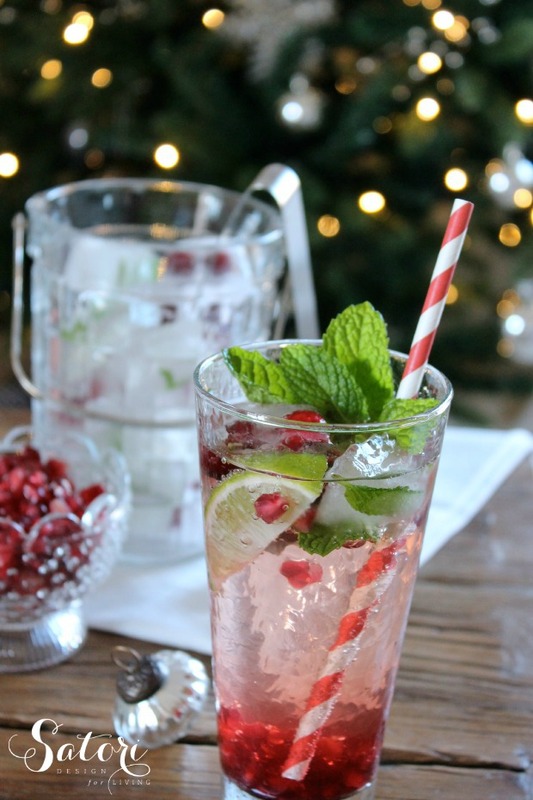 Yesterday, I shared a recipe that’s perfect for entertaining, festive pomegranate mojitos. They’re made with fresh ingredients, and the green and red colours are perfect for the Christmas season! 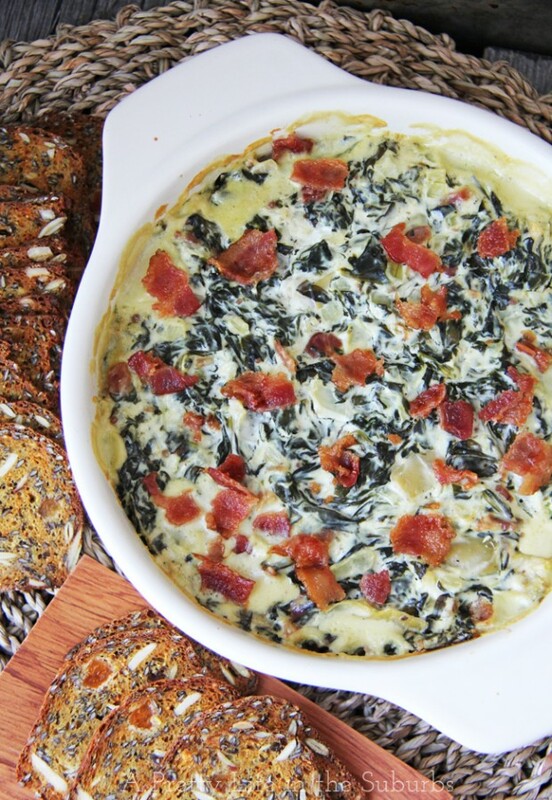 Jo-Anna from A Pretty Life in the Suburbs made a baked goat cheese & bacon spinach dip that looks divine! Who doesn’t love a warm, ooey-gooey dip? Heather from Setting for Four baked these pretty snowflake cookies. A perfect gift idea for the sweet-tooth in your life! 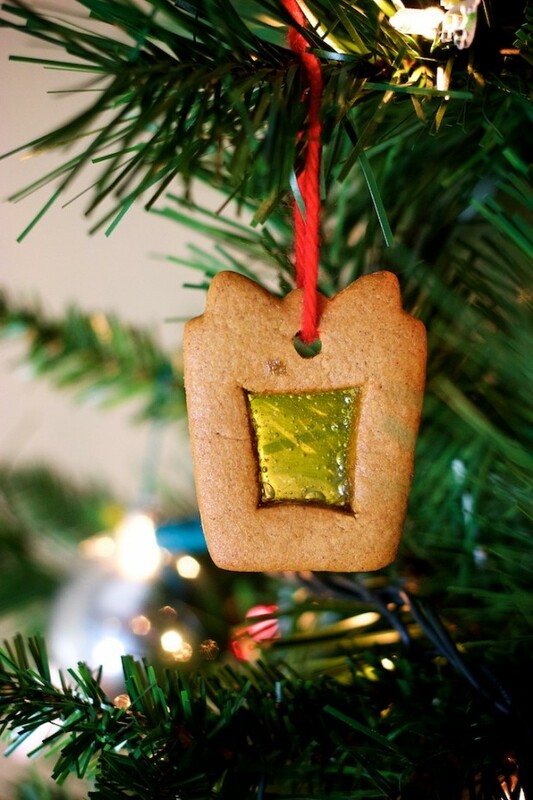 Cheri from Kitchen Simplicity created these fun & adorable edible gingerbread ornaments. Love the pretty colours! 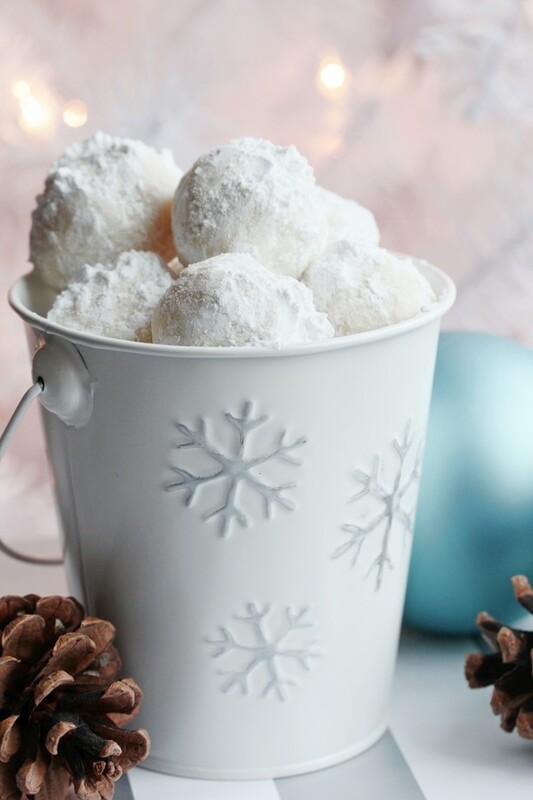 Link up your own Holiday Recipes, old and new! Please be sure to take a look around and show some blog love. I will be pinning my favorites all week long, and you can check out my features next week! No posts to link parties or items for sale please! By linking up, you are giving us permission to possibly share your project in an upcoming features post.